It is tough keeping up with all the gluten free products out there especially when a lot of the top brands are beginning to bring out some of their own gluten free products. Barilla a popular pasta brand now has gluten free penne. We tried out for dinner in a meat sauce and it worked our great. The pasta lasted for leftovers as well. We certainly recommend this pasta (and yes we took a picture of the French side of the box. Whoops). 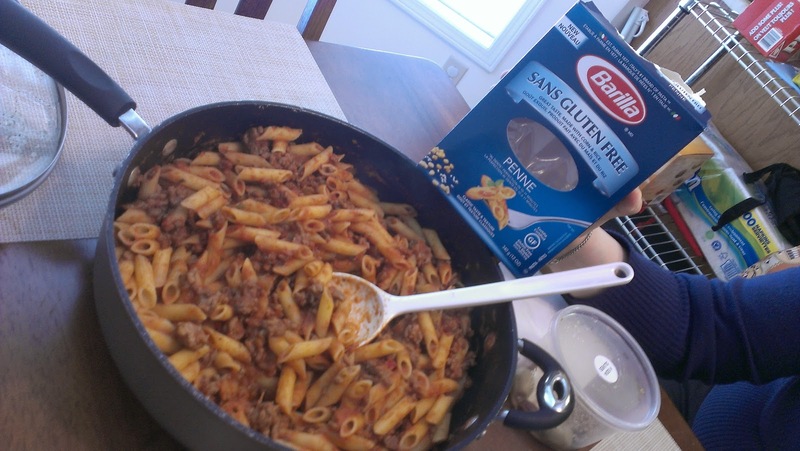 We found the Barilla gluten free pasta at Superstore with all the other pasta.